More entertaining financial farting going on at Vero which, in my opinion, is socially and productively useless — as is practically everything that is currently part of our godforsaken corporate financial structure. Not that I actually have the time for this, myself, but anyway. That’s my whole Friday blown when I should have been doing some machine tool debugging. The picture is that TheyWorkForYou.com has the speeches, and PublicWhip has the votes. I think the speeches are generally all hot air, and it’s only the votes which matter — that is why there are 40 MPs known as party whips making sure their flock votes the right way, but they don’t care what anyone says. But anyway, the speeches are what politically unsophisticated people supposedly understand, while large charts of votes are kind of scary for everyone — supposedly. Common wisdom is that ordinary citizens don’t really get it with votes. MPs voted by a margin of 71, 297 votes to 226, to reject a call by the Liberal Democrats to commit to the cut. Yesterday, in the run-up to the afternoon vote, the Lib Dems’ challenge to the government built up a head of steam with 63 MPs from all parties supporting their motion. According to 10:10’s organisers, nearly 10,000 people had written to their MPs about the debate in the preceding 48 hours, and made more than 600 phone calls. In all, 96% of MPs were contacted by members of the public before the debate. A government amendment welcoming the 10:10 campaign was carried without a vote. It turns out that if you actually read the newspapers, Parliamentary votes are quite regularly reported. It’s the goal score, so to speak. Maybe it’s time someone helped people out by showing which net their MP got kicked into the back of. You know, it’s kind of an obvious thing to show the next day. Today the new UK Crime Mapper is having a big launch. It’s been put together by a small ad company in Leicester called Rock Kitchen Harris with 22 people on their about page, all but 4 of whom are not programmers. They must be happy with this balance because they’ve got a recruitment ad for another graphics designer. The technology appears to be Bing maps — which is some Microsoft product. I don’t know what goes on internally inside Rock Kitchen, but it’s likely to be Microsoft as well. UK government has a history of loving Microsoft no matter what the case. They refrain from giving money to anyone who actually knows what they are doing. Last Monday I got out for a dive on The Marlin, a boat owned by the retired physics professor who has written the book on wrecks in Liverpool Bay. Dives were on The Dublin and the Lightship Alarm. Someone needs to get into adding the relevant pages to this list, citing his book. Here’s my edited vid of the day out, using the very fine (and free with the operating system) Windows Movie Maker. To quote Rummy, you make the movie out of the clips you have, not the footage you might have wanted. I need to get a much bigger torch. The water is green due to the chlorophyll in the plankton, that also blocks out most of the light at depth. It’s a very different ecosystem to what you normally see filmed in the tropics with all the light and the pretty colours and no floating algae. This is so in-your-face even Myron Ebell would choke on his coffee. The type of aircraft it is hoped to attract to Carlisle Airport – the most environmentally friendly and efficient in its class, with fuel consumption per passenger up to 15% lower than an average family car, over a typical 230 mile sector. The successful introduction of passenger flights will see a reduction in fuel consumption of Cumbrians flying from Carlisle as they will no longer be driving to Manchester, Glasgow or Newcastle airports, or even London. The planes most likely to be used at the Airport will be the latest generation of quiet, ultra-fuel efficient turboprops. These modern aircraft cut fuel use by as much as 65% per ‘passenger mile’ when compared with jets. Government forecasts suggests that road traffic will double in the period to 2050, resulting in more congestion on overloaded motorways. This can only be eased by use of other forms of transport. 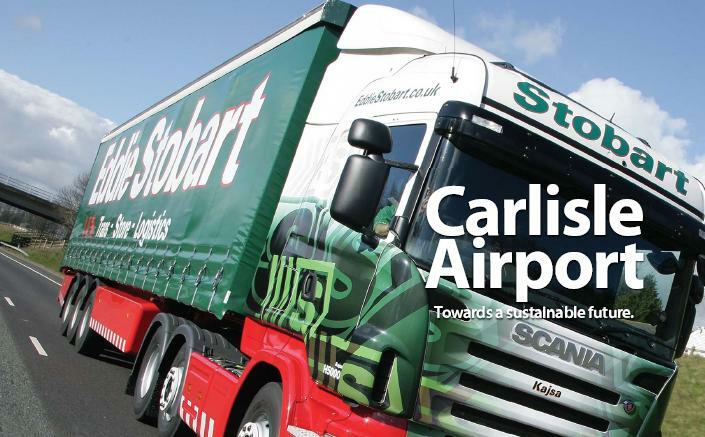 An improved and functional Carlisle Airport could actually result in reduced congestion and carbon emissions overall. 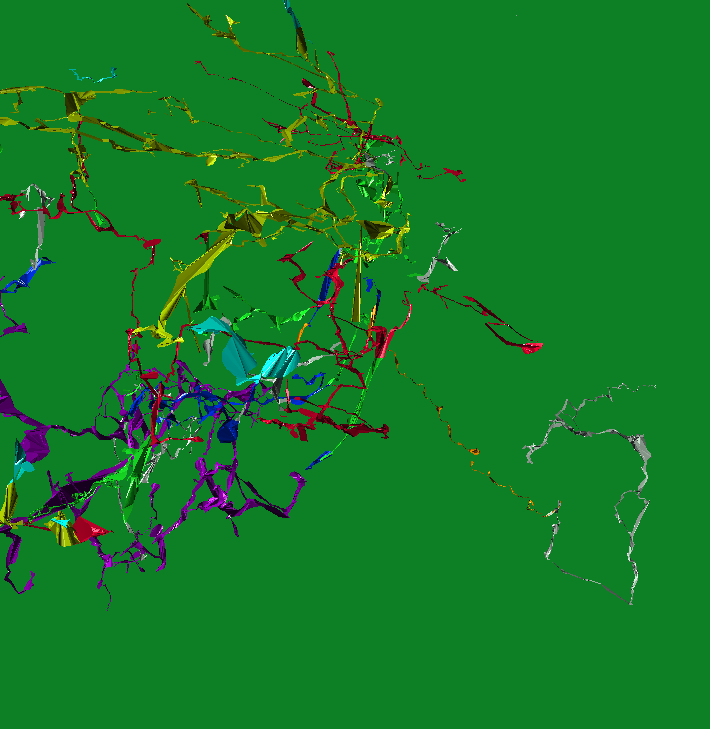 Two days of hard coding on Tunnel Cave Drawer for this piece of crap! The orange tinsel bit on the right going down to the silver hammerhead shark shape is supposed to be Razor Dance. Back in 1998 when I began this godforsaken Java project, it was to do caves in 3D by modeling by their passage cross-sections joined into tubes, but after a lot of work I concluded that the necessary data wasn’t going to be collected by surveyors who weren’t thinking like CAD designers. What are the 20 most socially useful datasets? Publish on a website details of all government spending over £25,000. Allow the public to comment on all legislation before it is debated in depth by MPs and peers. Publish online 20 of the most socially useful government datasets online within 12 months of a General Election. All government contacts over £10,000 being tendered by the government would also be online. We need fewer mega-projects; a rigid insistence on open standards and inter-operability; a level playing field for open source software and for smaller suppliers. This is excellent news. I wonder when they came to these policies, and why the silly buggers didn’t turn up to vote on the Government Spending (Website) Bill two years ago? I’m also kind of interested in the “20 most socially useful government datasets within 12 months”, because that is a hard promise. But what are those 20 socially useful datasets? Getting a little behind in recording my away trips. If I don’t put them here I won’t be able to remember them in ten years time because, unlike wise people like Tony Jarratt, I don’t keep a logbook. 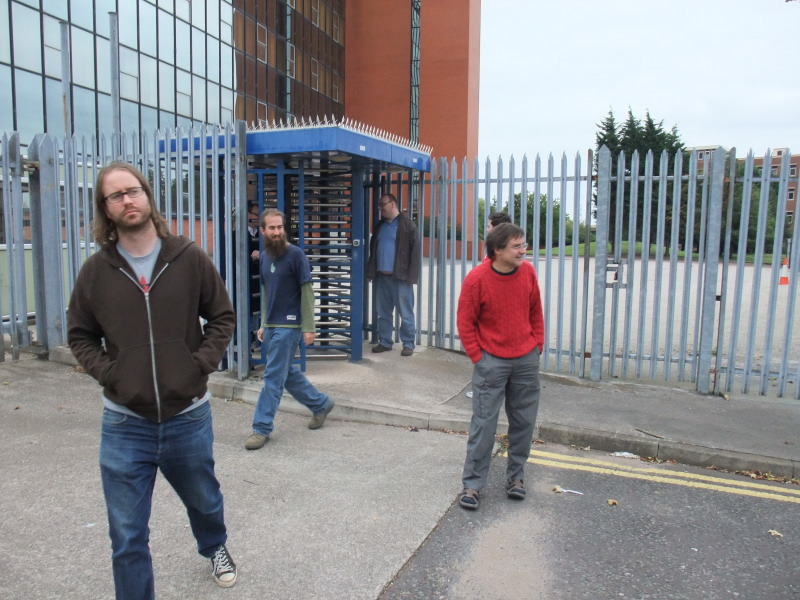 On the 17 September there was a scraperwiki.com development get together in Liverpool. Here’s some of the crew looking like a gritty photo shoot for a band, shuttling their way out the gates with only one pass (we had to keep passing it back through the railings). The following weekend was the CUCC 60th annual dinner up in Yorkshire where I got to see all my old mates who’d grown up, got married, had kids, and, well … whatever. Some of these youngsters will live long enough to enjoy the strong economy we saved for them by burning as much coal and oil as we possibly could in our time. Does the Veolia judgment bootstrap FOI? I had a lovely read last night of the newly published Veolia vs Nottinghamshire County Council judgment. It’s a good piece of drama, which held me in suspense all the way to the last sentence. Here’s my relation to this. In balancing this decision, the FOI officer took account of the public interest by making up some thoroughly specious argument for secrecy at variance with the real reason, which is to protect the rights of large corporations to loot the public finances behind closed doors and not give a damn about the consequences. any persons interested may inspect the accounts to be audited and all books, deeds, contracts, bills, vouchers and receipts relating to them, and make copies of all or any part of the accounts and those other documents. In theory this provides another right of access to information where “commercial confidentiality” cannot be used as an excuse to prevent the public from finding out what they are paying for through taxation. However, when Mr Shlamo Dowen of Nottinghamshire attempted to inspect the 26-year £850million waste burning contract his council had signed with Veolia, Veolia obtained a court injunction against the council preventing them from disclosing it. I recommend reading the judgment word for word, because it’s entertaining and is an instance of the timely unperverted course of justice. This is a follow-on from Financial nonsense at Vero. In the late 1990’s, during the Technology “Bubble”,[sic] Foresight significantly outperformed the wider technology market and generated returns that made it the leading VCT Manager. It has continued to prove itself more recently by having been awarded three existing VCT mandates from other managers. It is testament to Foresight’s standing within the industry that in 2004 it was offered the mandate to take over the management of two Advent VCT funds, subsequently rebranded Foresight 3 and Foresight 4 VCT and the Noble/Enterprise VCT, subsequently rebranded Foresight 3 ‘C’. So it appears that some paper is being shuffled around. But what the heck are these VCT’s anyway? In order to encourage investment in these companies, VCTs were designed with generous tax breaks. Investors receive an upfront 40% tax relief. In other words if you put £10,000 in, this could only cost you £6,000 by the time you have had your tax rebate. And the tax free boost doesn’t stop there. Any capital gain or dividend paid from the VCT is also completely free of tax. How a loser can still be profitable … [S]ince a £1 share actually costs you 60p, the managers can make a lot of mistakes before they lose 40% of your money. In other words, you only need a very modest rate of return on the investments to come out with a healthy return thanks to the tax break. Say the £1 share is still only worth £1 after five years. Since it cost you 60p, you have actually made an annual return of 10%, which is of course net of tax. Even if the shares were worth under £1 you could still be making a reasonable profit on your real net investment.